Socialite Vera Sidika reveals how she earns her millions. According to social media rumors, Being a socialite is all about having rich ‘sponsors’ to bed with in exchange for money. 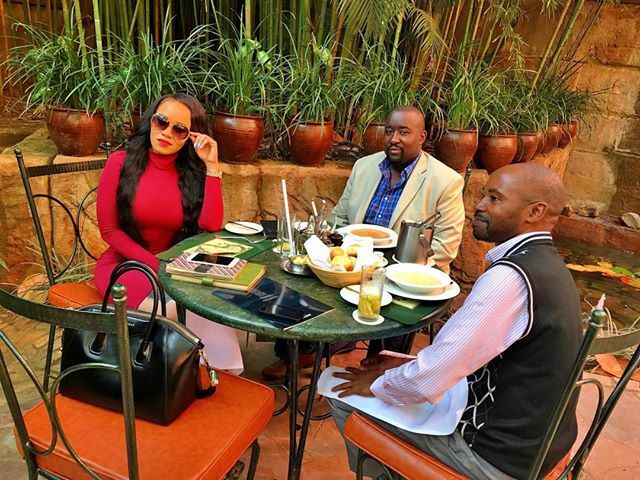 Well socialite Vera Sidika decided to prove that wrong via her instagram page where she revealed that she was is her third business meeting and captioned a photo of her alongside two serious looking gentlemen.